So. Today, I am going to step out of my comfort zone and share a little video of my kitchen with you. I know that video is all the rage and while I am not adverse to speaking in public ~ I actually possess a degree in it ~ I much prefer to communicate via the written word and stills. However, today I am going to let the video do the talking. Ok, well, it's me doing the talking, but you get the idea. Hey before you go, if you would like to peek at the post that prompted this video, check out Quick and Easy Fall Decor. Lots of red! Your kitchen is lovely and the red accents go wonderfully with your red wall. Thank you, Lorraine! I do love color. Happy autumn to you, too. Enjoy the color!! Thank you, Maria! I think it took five coats of paint and paint with primer to get it to the tone we liked. It's staying!! ;) Truly, we do love it though and hey, in another 10 years it'll probably be back in style!! Haha!! All the rage today is white on white. In my opinion, that look is way too antiseptic. Punches of color (I too, love red) and that red wall breaks up the boredom of all the white. You prove just because something is the current rage, it's okay to break the rules and do your own thing.. Your kitchen is fabulous. Love that you embrace red with your accent wall and then just touches of red in the rest of the room. This was so sweet to hear your voice and see your pretty kitchen. I, too, have one red wall in my kitchen, white cabinets and hardwoods. I love red! Fun video. Thanks for sharing. I, too, still have a red wall with no plans of changing in the near future, so I am glad to see that you are keeping yours. You did a nice job on your video. After so much print correspondence it is fun to hear your voice. 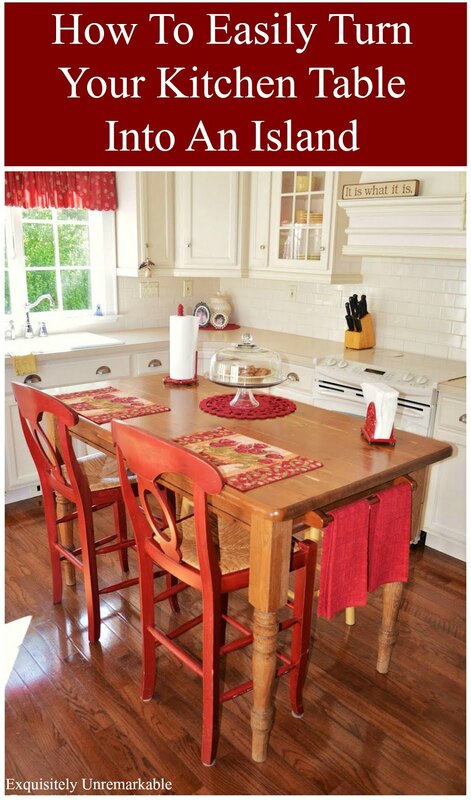 Hi Kim, Love your kitchen and the pop of color with the red wall. It anchors your room! !~ and like your said, brings in charm and a cozy style. The video is great and it was a treat to hear your voice. You did a Super job!! Loved it! Thanks Celestina Marie!! I agree, I think the red anchors the room. I can't imagine the kitchen without it. Nice to hear your voice! As you already know, even though the trend is not red I still love it! You are so right saying you need to go with what you love. Your kitchen tour was great. Have a beautiful week. Enjoyed your video! Love the kitchen & like how the wreath above the stove brings all your red elements together without being overwhelming. I thought the red wall was bigger than it now appears, but you're so right...do what YOU like rather than following trends which are here today & gone tomorrow. You have a nice voice too. For me, I'm not sure I'm ready to jump onto video yet. LOL, but you did a nice job. I dipped my foot in the video pool, Florence, and I am right back out again!! ;) I am glad that I did it though, it does give a better perspective of the red and in the room. Thanks for letting me know! I'm glad your sound didn't work...may be a blessing, Diana!! ;) After all, I am from NY! OMG, you should totally be on radio, or even TV for that matter! Loved hearing your voice dear and of course, I know how you look! Wonderful, thank you! Kim, it was so nice to hear your voice. It is warm and cozyjust like your kitchen. And yes I still hold to the idea that you are a rebel. It takes guts to hold onto what you love and buck the trends. Again I love that wall and it is perfect with the rest of the kitchen creating such a nice balance. We want more videos!! Thanks Mary! Glad to hear you enjoyed it. I am really happy with my kitchen....and that very, very red wall. I hope that my use of color inspires others! I adore red and have used it in my house! I love that the kitchen is mostly white and bright but then that pop of color is perfect! I never feel limited by red either! Thanks for viewing it, Deanna. I was a little scared to do it and part of me still wants to take it down! ;) I am much more comfortable with the red than I am with being on camera. Even if it is only my voice! ;) Haha!! Love your kitchen, Kim, including your red wall. It adds a wonderful warm feeling. And, I'm with you - when you love something, go with it regardless of current trends. Thanks Susan. I tend to pick pieces of the trends that I like...the pieces that make me happy! Love your white kitchen and your red accent wall. Lovely with the milk glass and furniture piece. I agree with you in creating our home to reflect ourselves. Not necessarily what the current trends are . . . Thanks Lynne. I am too old (and tired!! ha!) to worry about trends. I am all about what I like. I love the red and I wouldn't change it either! I have that color on the top of my bathroom and I love it too. No plans on changing it. 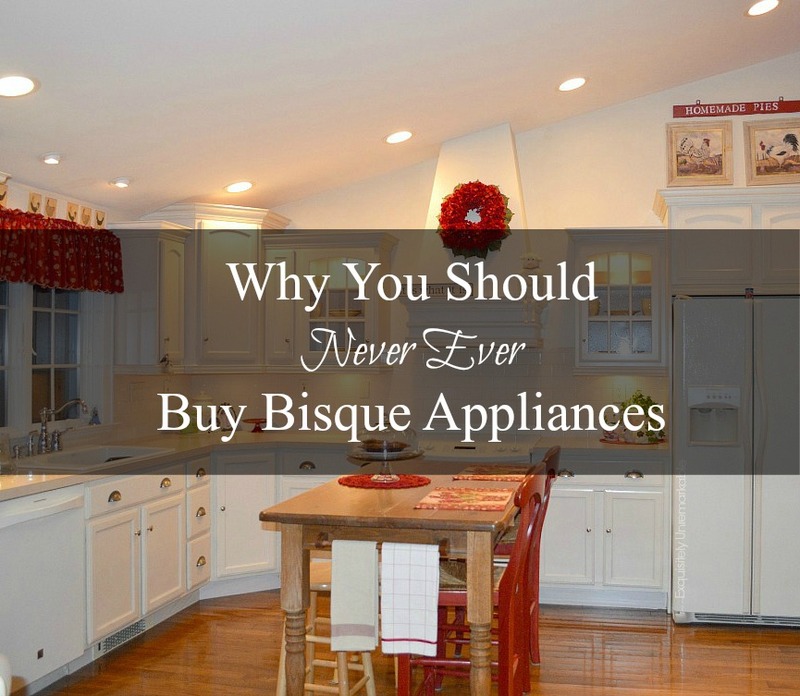 Your kitchen is just crisp and clean and lovely!! I think your home is lovely and I love the red wall. I always love your decorating style. You use your color like a welcoming factor. I love the way you used the red because even though you'll never tire of the red, if you decided to change the color....it could be done for less than a hundred dollars. Oh and a little tip for someone who is constantly picking the wrong paint colors....behr paint with primer in it? Rocks! I repainted my living room which had a dark purple wall and went light grey in 2 coats. I love the size of your kitchen Kim...not too small, not too big. And I noticed you have a nice little office type area off to the side. I guess that's where all the magic happens? Perfect!!!!!!!!!!! I have one red wall too, and I feel exactly the same! I enjoyed hearing your voice, but the stills and written word are my favorites. I can go back and look at them over and over!! Well, just look at you going on "techie" with a video....great job! I adore your kitchen and always have. I'm a "color-lover," too, and think your red walls are beautiful! Have a great Fall weekend, Kim! Hello from another dedicated red lover!! I celebrate you for not giving up your red. I love my red and will never part with it! Isn't it strange that you feel like you have to explain that it's not overwhelming? Color is joyful!! Color is joyful, Stacey!! I say hang on to your red. I wonder...is there a red room or wall planned for the new house? 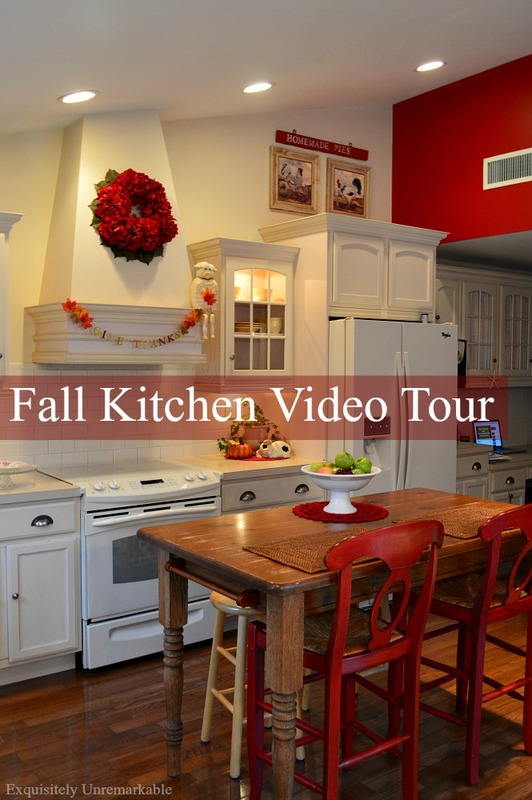 Kim, I enjoyed your kitchen tour and love your red accent wall. I've received similar comments about "being brave" for the turquoise accent wall in my living room ;) Mine is surrounded by pale gray on the rest of the walls, so like you I feel like the space is mostly bright and airy, but love the splash of color and have no plans of changing it anytime soon. Another blogger and I were recently just having the discussion about our love of color in spite of the whites and neutrals that are currently trending. Thank you so much, Cecilia. It’s nice to have a sister in the color courage club!! I really do like the pop and something about the contrast makes me enjoy those neutral walls even more. :) Glad to hear I am not alone!